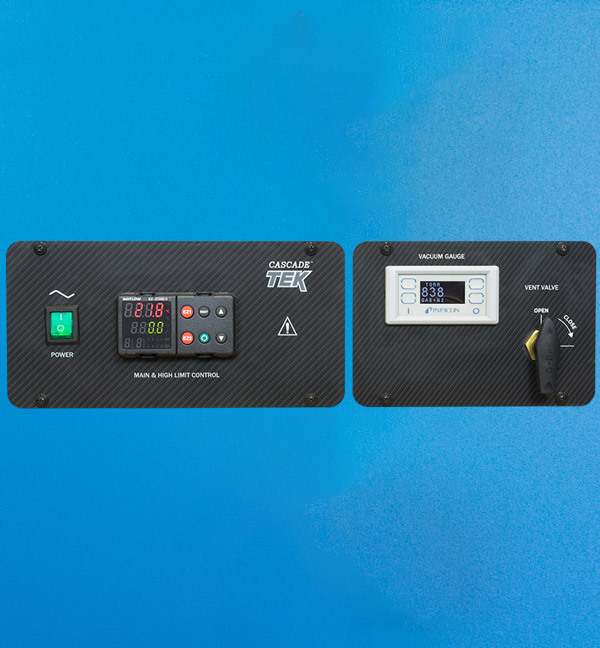 This feature allows the operator to manually operate the vacuum system, or use profiles in the Watlow controller to operate the vacuum system in the oven. 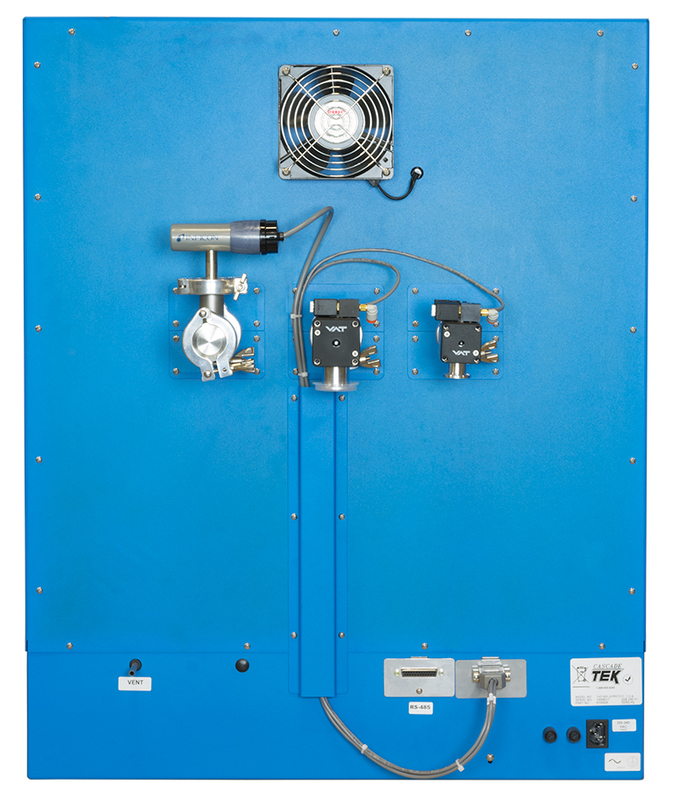 The vacuum system includes an electro-pneumatic isolation valve installed between the oven & vacuum pump. This valve is controlled by an event output in the Watlow controller. The operator can turn this event on by pressing a button on the controller. The valve will open and the vacuum pump will evacuate the oven down to the ultimate pressure rating of the vacuum pump. 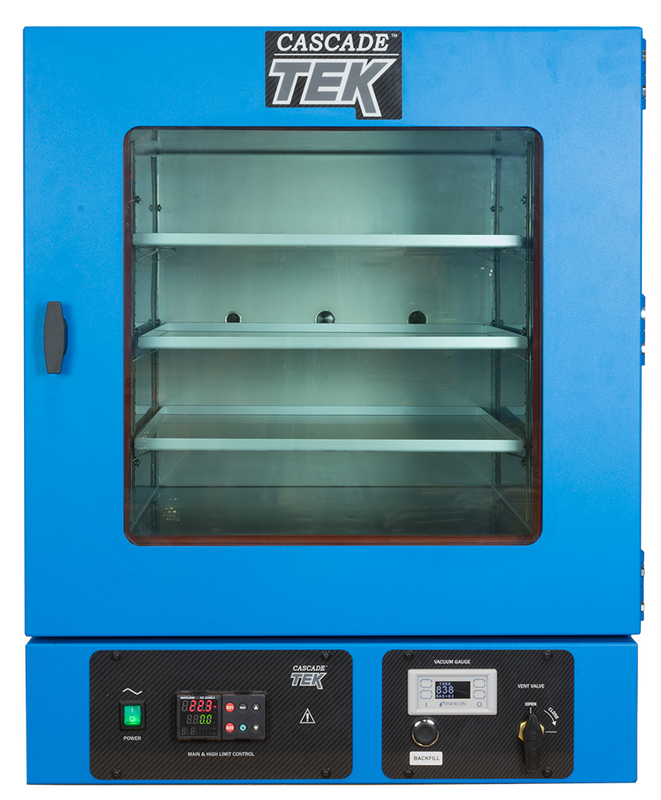 When the process is complete, the operator turns off the vacuum event and the oven will automatically backfill to 500 Torr. 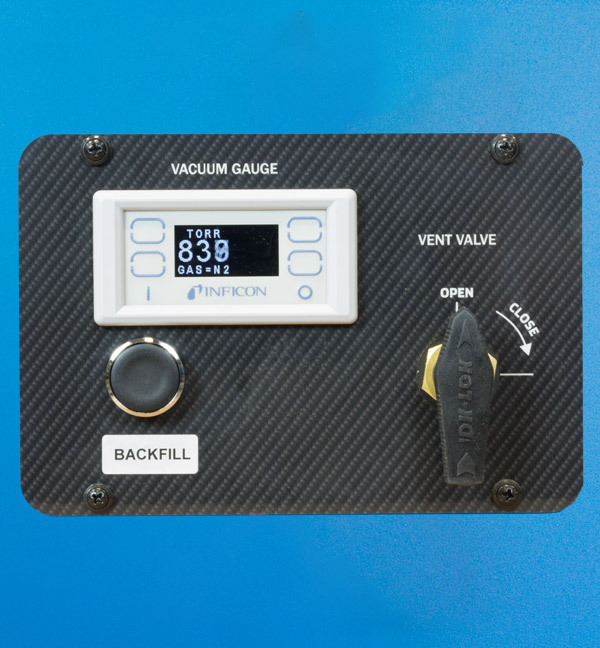 This backfill limit is controlled by a set point in the digital vacuum gauge controller and can be adjusted by the operator if a different level is desired. It can also be set to not auto backfill if desired. The TVO-5-A can also be programmed to perform this function in a recipe in conjunction with heating allowing multiple pump purge & heating cycles to help remove moisture from product without the need for the operator to control the oven.